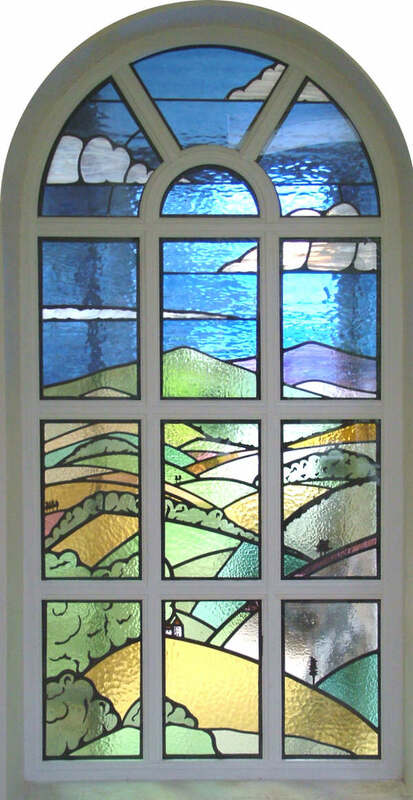 Chiltern Hills Stained Glass Window, Amersham, Buckinghamshire. 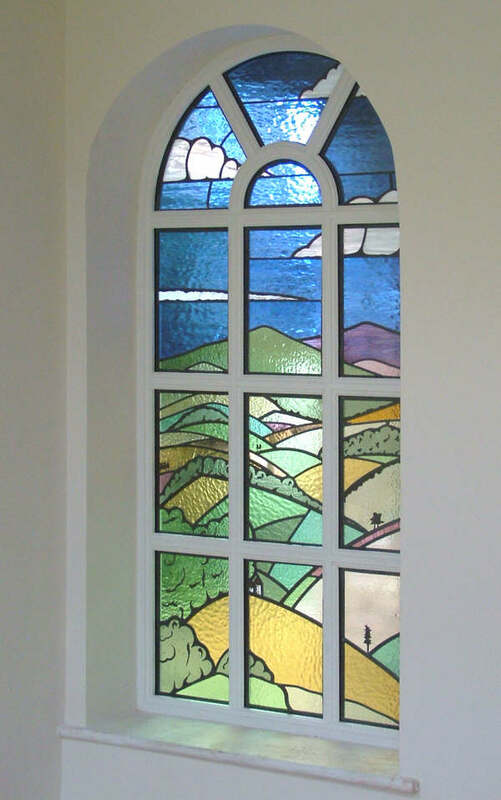 The brief for this stained glass window was to base the design on the Metroland posters of the 1950’s. These were produced to advertise travel by the Tube and as the customers’ house backs onto the Central tube line, this is a very fitting setting. The Chiltern Hills are depicted on a sunny summer day as the perfect place for a country walk. Employing a mixture of mouth blown antique and machine rolled glasses this stained glass window is a real focal point to the dining room and also affords the privacy needed from the neighbours. The detail is painted and fired in a kiln using traditional methods unchanged for centuries. This method of using strong bold line work gives the feel of a lino print design. There is the inclusion of some secret words hidden in the bushes!